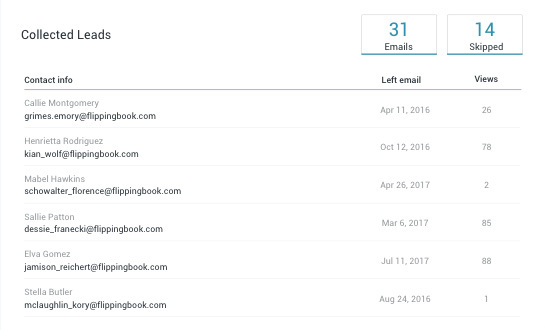 Built-in lead capture form is a neat and friendly way to collect leads right within your content. And thanks to lead-based analytics, you can analyze how each lead interacts with your content and identify the most promising ones. 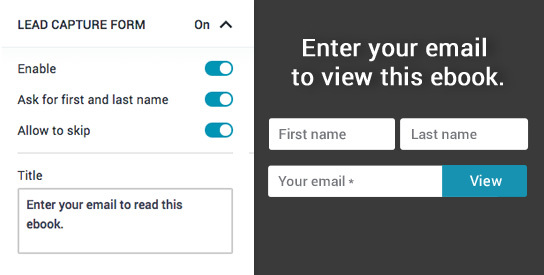 You can customize the text, make it skippable, and set up the form on any page of your ebook. Giving people previews before asking them for their emails raises your chances to get a warm and trusting lead. 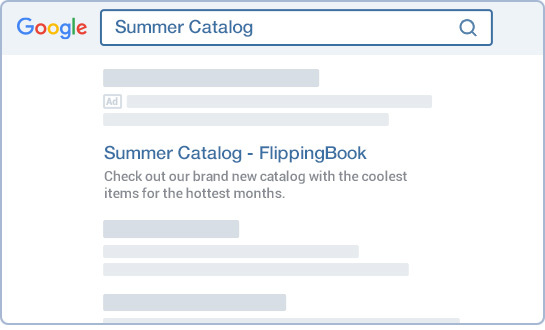 After you’ve started to collect leads, check out the “Stats” area of your publication. You will find the collected contacts there and will see how they interact with your ebook: number of views and skips. Gating content comes at a price: part of your audience won’t feel like leaving their contacts and drift away. Plus, when you gate a PDF, it’s too easy to Google and download it without completing any forms. FlippingBook documents always come with the form, no matter where a viewer comes across the content. And the form is as friendly as possible; it’s designed to encourage, not scare. Want more people to discover your ebooks online? Turn on the “Searchable on Google” option. As your ebook becomes HTML5, gets metatags and borrows the power of our domain, it will quickly rise in search engines, driving even more leads.